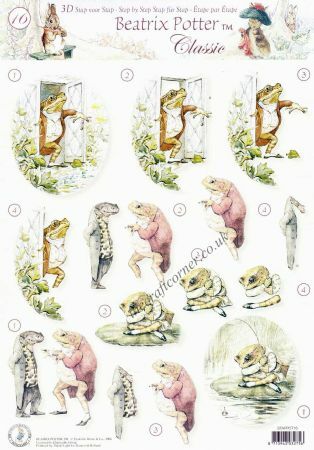 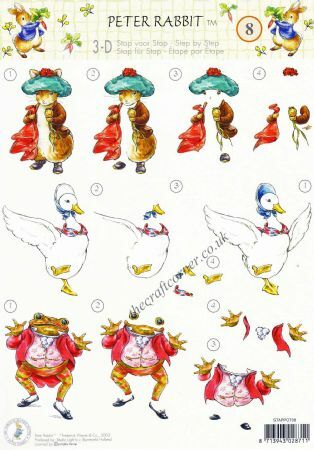 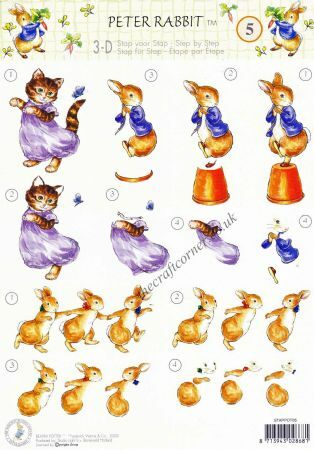 Beatrix Potter is loved all over the world for her books and these 3d decoupage sheet include designs with Peter Rabbit, Squirrel Nutkins, Jeremy Fisher and many more. 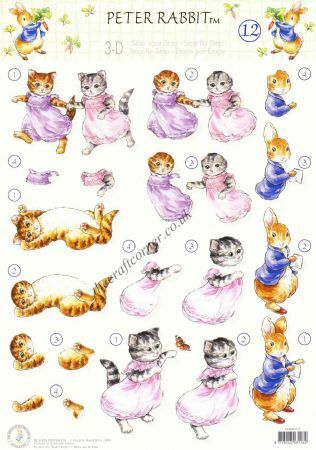 Beatrix Potter's Peter Rabbit 12 Peter Rabbit and Kittens 3D Decoupage Sheet. 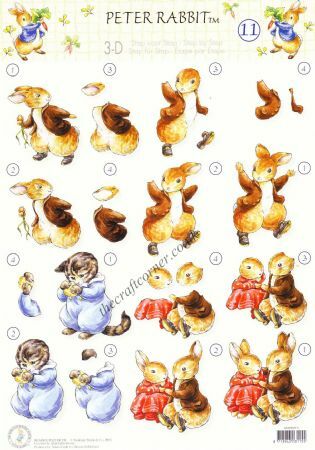 Beatrix Potter's Peter Rabbit 15 Squirrel Nutkins 3D Decoupage Sheet.